Our three inch PVS-RS3 PVC vent screen is designed for high efficiency appliances that utilize 3” horizontal vents. With the PVS-RS3 rodent screen, your condensing furnace, hot water heater or boiler will be fully protected from animals and lawn debris. 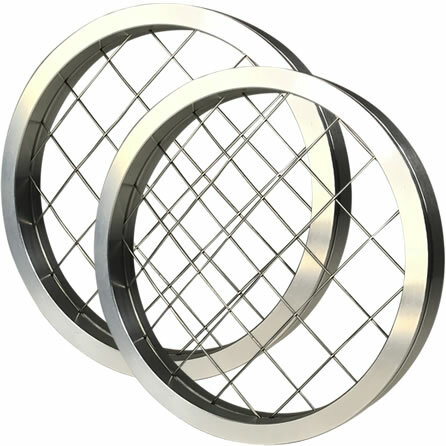 Fitment: The PVS-RS3 vent screen is designed to fit inside any standard 3″ PVC vent termination hub or coupling with an inside diameter of 3-1/2″. 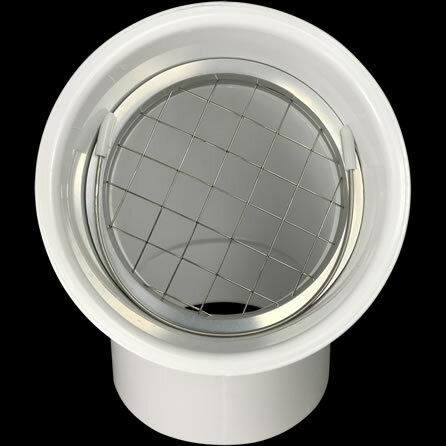 Three inch ventilation systems often used to rely on either a destructive push-in mesh screen or plastic screen. The problems with push-in mesh screens is that they often scrape the PVC, creating chips that can be pulled into the intake vent and can cause as much damage coming out should a seasonal insect screen need to be installed. On the other hand, plastic PVC vent screens typically have a wide and thick plastic mesh that blocks 30%+ of the airflow. The PVS-RS3 solves all of the problems that are found with competing models. The PVS-RS3 is made from American made materials and manufactured in the United States. 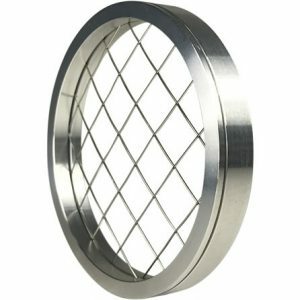 This 3” rodent vent screen features a precision machined 6061-T6 aluminum shell that houses a 2×2 316 stainless steel mesh screen. This unit maintains 90% airflow and is the most compatible PVC vent screen on the market for high efficiency furnaces, power vent hot water heaters and boilers. The PVS-RS3 also ships with one 304 stainless steel internal wire clip so that the screen may be held in place without the need for caulk, screws or any other unsightly fasteners. Birds, chipmunks, mice, moles, squirrels and other outdoor animals are no match for the PVS-RS3. 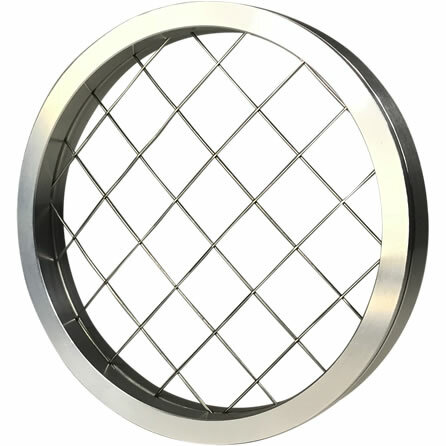 This vent screen serves as a deterrent from pests entering homes, while maintaining maximum airflow. To see how easily our PVS vent screens are installed, please watch our installation video. Though the PVS-RS3 offers full protection from rodents and debris, our PVS-IS3 is designed to also protect against insects. Should you desire to protect your vents in all seasons, please consider the benefits of preventing bees, wasps and other insects from entering your high efficiency appliance’s vents. Should you need assistance with measuring your vent terminations, please visit our sizing page for a comprehensive guide on how to measure existing PVC ventilation system terminations. On this page photographs and video will walk you through the single measurement needed to determine the size of your existing vent terminations.